Reading the newspaper is just so much fun these days. Especially if you move right on to the inside pages. On Saturday my husband found an article in an "inside section" of our local paper telling about a new TV Channel called Retirement Living TV available on on satellite TV. Designed for ages 50+, it features health, discussion, seniors living and much more. Charles Hirschhorn, a former Disney Executive, is its chief creative officer. One of the shows is hosted by Gary Collins. So it seems all the pieces are in place for a TV channel that will appeal to the 50+ audience to succeed. Heaven only knows there is a need for it in a world that has always focused on the success of the youth market. One feature coming up is about the 10 best places to retire in the United States. 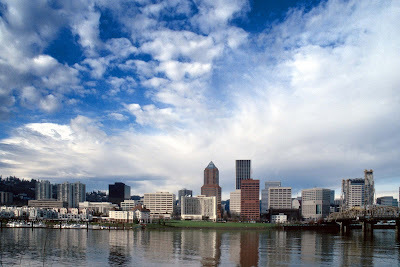 Our Hillsboro, Oregon ( http://www.el.com/to/hillsboro/) had made the list and I can see why. We have the world at our finger tips. In our national award winning subdivision, Orenco Station, the developer provided us with work live town houses, parks, condos, cottages, brownstones. We have a pool, tennis courts and a neighborhood that encourages walking your dog, or walking your mind. We have "Main Street" shopping featuring a New Seasons grocery, Kitchen Kaboodle, Starbucks, a pet store, 3 restaurants, dry cleaners, a wine shop and a dentist. Did I mention that a huge segment of the population in this part of town are senior citizens, most of whom are retired? Even better, we also have a wonderful mix of young professionals that brings an added dimension to our community. Hillsboro has both a Saturday and Sunday markets, mass transit that takes us from down town all the way to the Portland International Airport (PDX) via the heart of beautiful Portland, Oregon. There is Viola Walter's Performing Arts Center and parks that feature Disc Golf courses, horse shoe pits along with walking trails and play structures. This is all topped off with a temperate climate with hardly any snow. There are lots of golf courses the majority of which are public and very affordable. Hospitals with public education programs and wonderful clinics, amazing shopping centers, health food markets and a new library help seniors stay healthy both physically and mentally. For those of you that live here, you know more about this than I do. But then we all like to brag about our community. When Retirement Living TV airs this show, I am thinking Hillsboro should be at the top of the list. How about you? 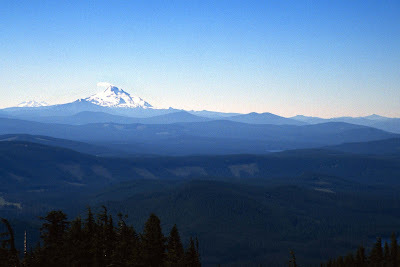 When you take our small town flavor and add our proximity to the beach, Mount Hood recreational area, Portland city center with it's restaurants, art scene, and museums, you have perfection. AND we have a landscape that is one of the most beautiful on earth. I am not sure you need to die in order to go to heaven. PS. As you can see, even with the growing pains we are experiencing, we still love where we live. *Note: I had to smile. I did a Google search yesterday trying to find out about this TV show and the obituaries came up. Google had made the connection between retirement and death! sigh!